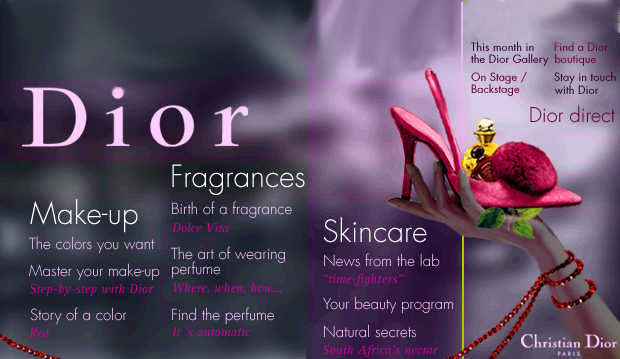 Before Christian Dior opened a website devoted to their fashion collections, they had this website to showcase their perfume, makeup and skincare lines. We designed the site as monthly magazine, with news, tips, exhibitions and live reporting. It was a resounding hit.